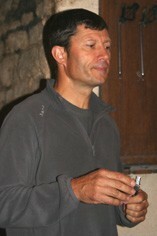 Full, rounded, generous and welcoming, this is a tremendously exciting wine which shows Christophe Roumier on top form. 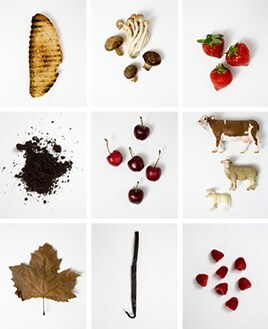 It should be at its best between 2012 and 2020. 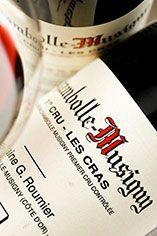 The Wine Advocate - The 2005 Chambolle-Musigny Les Cras smells of ripe blackberry, raspberry, forest floor and chalk dust. A polished, creamy, yet palpably chalky and brightly fresh-fruited palate offers a sumptuous saturation of black and red fruits with inner-mouth aromatic accents of cherry pit, pistachio, flowers and citrus zest. This shows wonderful primary fruit intensity and energy, exciting length, and the promise of continued poise and polish for at least another 10-12 years.